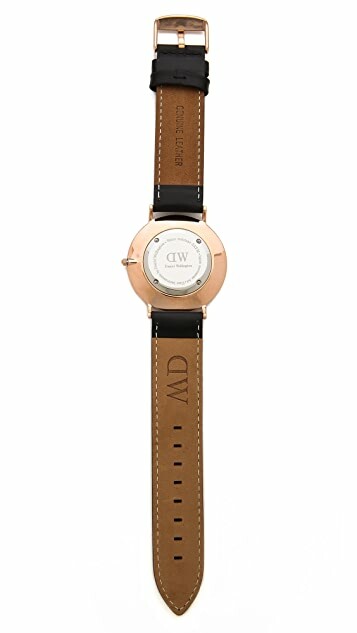 An understated Daniel Wellington watch with a rose-tone case and leather band. White dial. Single crown design. 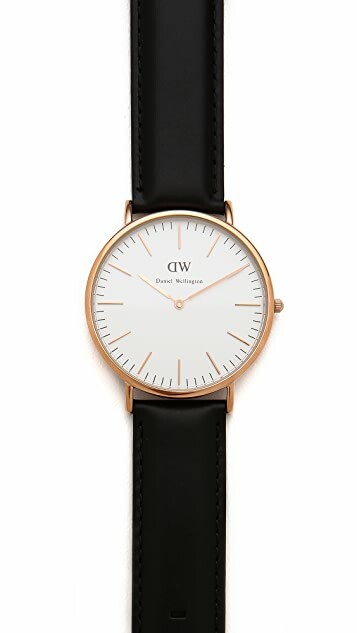 The origin of Daniel Wellington watches begins halfway around the globe, where the brand’s founder, Filip Tysander, met an intriguing stranger from the British Isles. This man, the brand’s eponym, had a gentlemanly air, yet still managed to be relaxed and unpretentious. 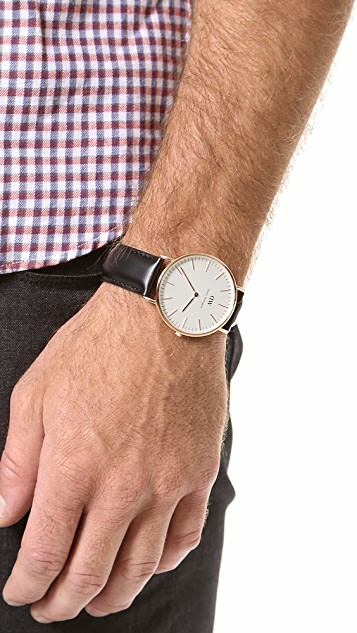 And, he had the unique habit of wearing his Rolexes on Nato straps, an idea that inspired Tysander’s collection. 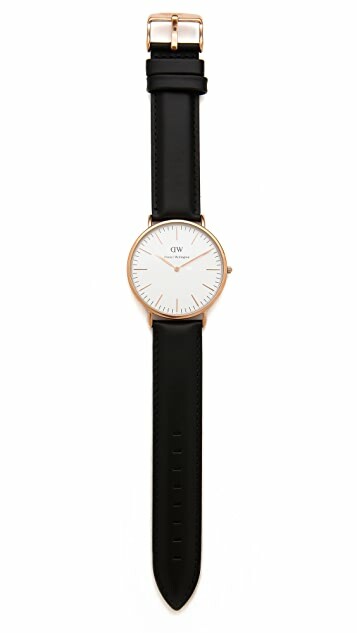 Minimalistic and slim, Daniel Wellington watches are traditional and classic, perfect examples of timeless design.